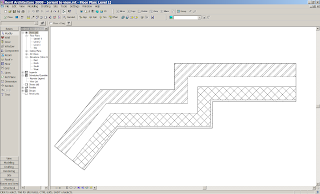 Sometimes there are occasion when you what to control the hatch pattern in walls. 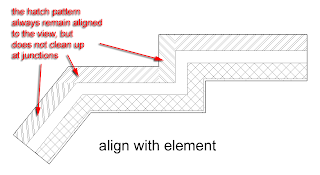 One particular situation is if you have a wall at a 45 degree angle on plan and the hatch pattern runs parallel with the wall. Graphical, this does not look good. These display slightly differently and have positives as well as negative out comes. Let’s look at these different settings in detail. Start by drawing a couple of walls similar to the image below, we will start by using UK metric template with a typical brick and block work cavity wall construction. This will take you into the fill patterns dialogue box. Next select the edit button on the right hand side of the dialogue box. 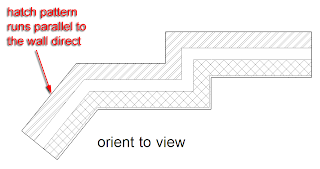 Orient to viewwill cleanup all the hatch patterns, so they always display correctly in a view. 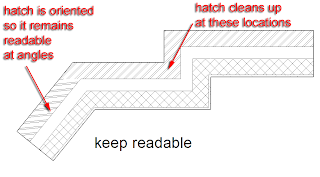 This is very much how AutoCAD users would expect hatch patterns to display when hatching walls in a DWG environment. However, the negative side of this is if your wall is at an angle and it happens to align with the angle of the hatch pattern, ouch! The pattern will run parallel in the wall, which is not ideal. There you have it, an explanation of the three different settings which allow you to control the orientation of hatching in host layers. Each has its merits as well as its pitfalls; you need to choose which one is suitable for your project on a case by case condition. 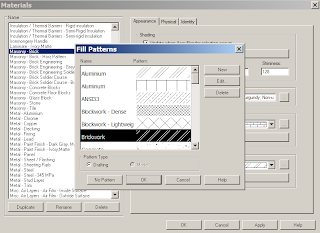 Finally, its should be noted that this only works for "Drafting Patterns" and that it does not do anything with Filled Regions. 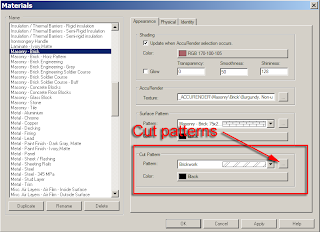 If you want to change a Filled Region pattern you will need to duplicate the hatch pattern and alter the angle of the pattern to suit the view. Can I shut the hatch off inside the walls for MEP drawings? Thank you.